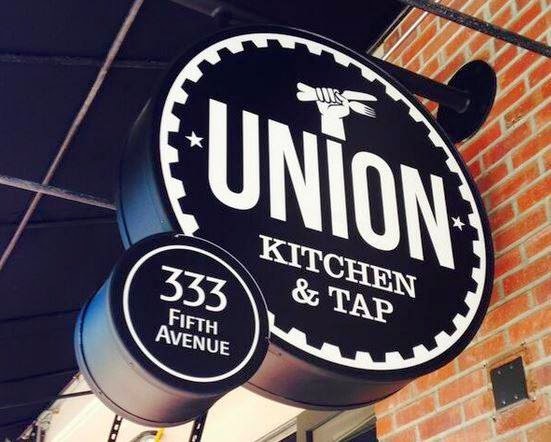 Set to open this Friday, May 2, Union Kitchen and Tap Gaslamp is the newest venture for proprietor Eric Leitstein. His popular Encinitas restaurant of the same name has been a staple since 2011. The new restaurant, located at 333 5th Avenue in the Gaslamp District, has significantly more square footage than its counterpart to the north. Union Kitchen and Tap Gaslamp features a patio and two huge garage-style doors that open at street level. Armed with an entertainment license, Union Kitchen and Tap Gaslamp will host live music, pairing dinners and more. The space includes two main bars, a charcuterie station, a rolling craft cocktail cart and a separate private dining area which seats 70 with an additional adjacent bar. In order to form a more perfect Union, Leitstein handpicked the culinary team to include Executive Chef Sean Langlais, formerly of Oceanaire, Executive Sous Chef Jimmy Tessier from Las Vegas and Sous Chef Luis, formerly of Searsucker. If Tessier seems familiar it’s because he was on Food Network’s hit show, Chopped. 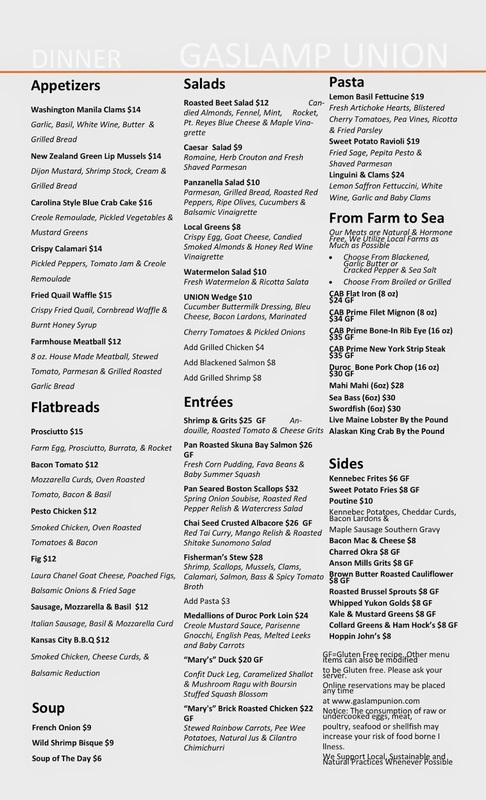 Leitstein of OMG Restaurant Group (an acronym representing his children, Olivia, Mason and Gavin) claimed the space once occupied by Donovan’s Prime Seafood at 333 5th Avenue in December of 2013 and the new restaurant opens this week. 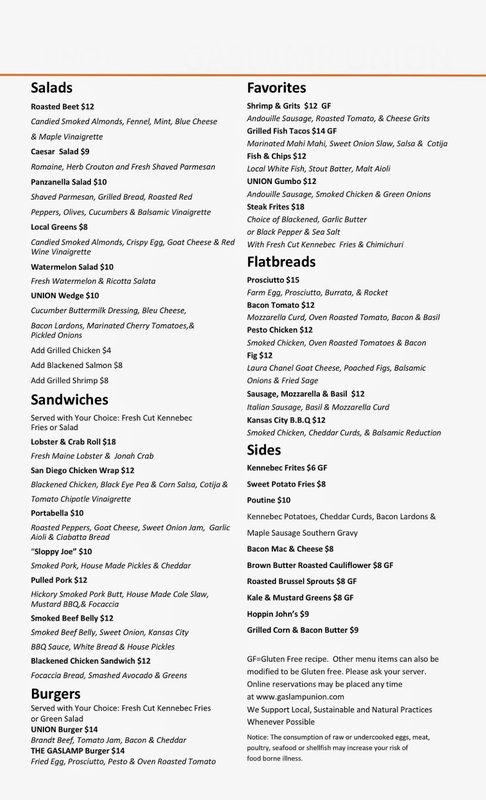 We've received the initial lunch and dinner menu (below) for Union Kitchen & Tap Gaslamp, a which includes an eclectic range of dishes from a wide array of culinary styles and backgrounds using seasonal ingredients, including options for every dietary preference or restriction. In addition to custom cocktails and an impressive wine list, expect an extensive craft beer selection which has become a source of bragging rights for the Encinitas location. We'll be exploring the menu today, so be sure to visit our Facebook, Instagram and Twitter for highlights of our experience. For more information about Union Kitchen and Tap Gaslamp, visit gaslampunion.com and follow on Facebook, Twitter and Instagram.